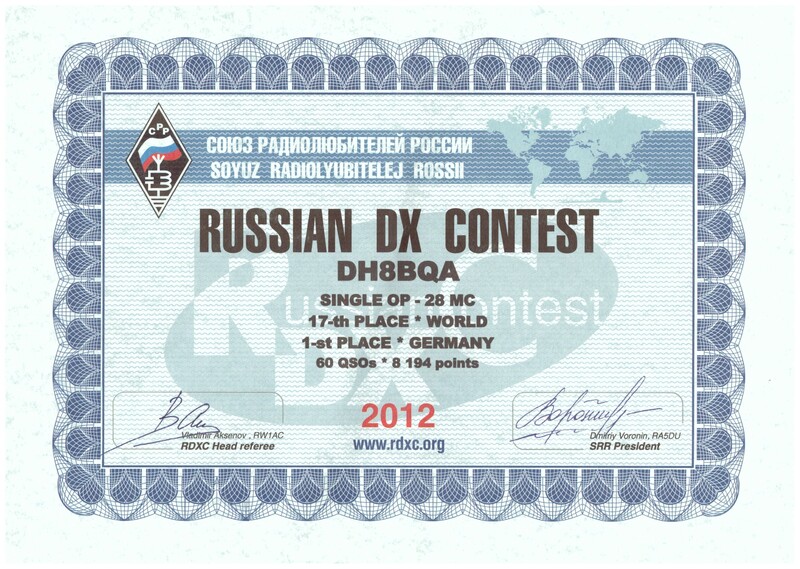 Today I had a letter from the famous Box 88 Moscow in the mailbox containing my 2 certificates for winning RUSDX 2012 on 80 & 10 m in Germany. 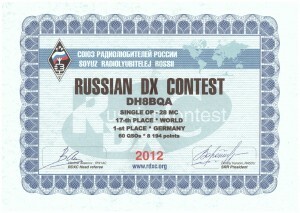 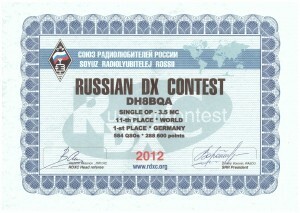 As already mentioned you can do 2 single band entries in the Russian DX contest in parallel. 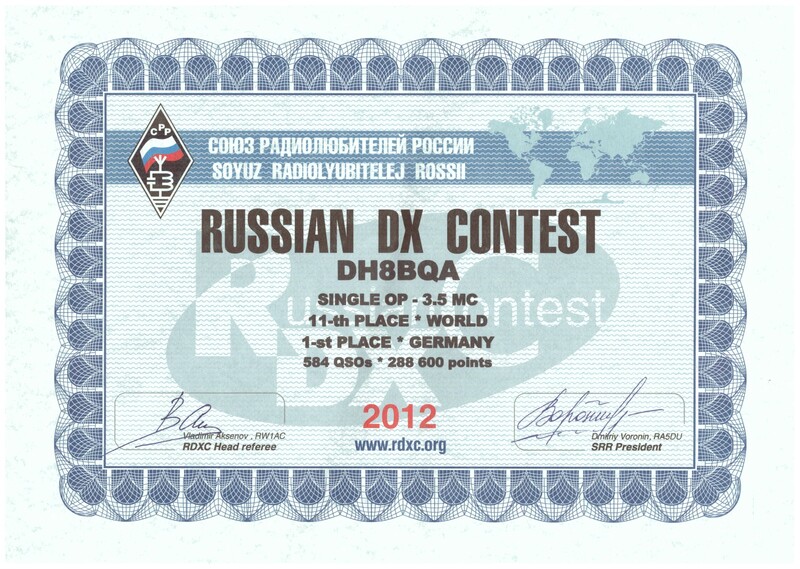 😉 As I heard the certificates for 2013 were received by others today, too, so it seems they mailed out for 2 years at once.